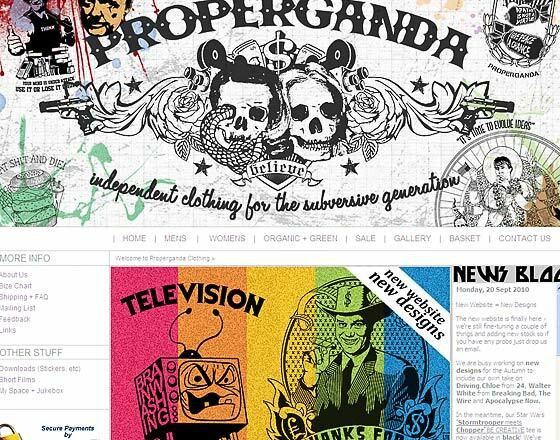 Properganda Clothing website // Online shop using Paypal payment facility // Recently updated, the design reflects the idependent, counter-culture & artistic nature of the items for sale. 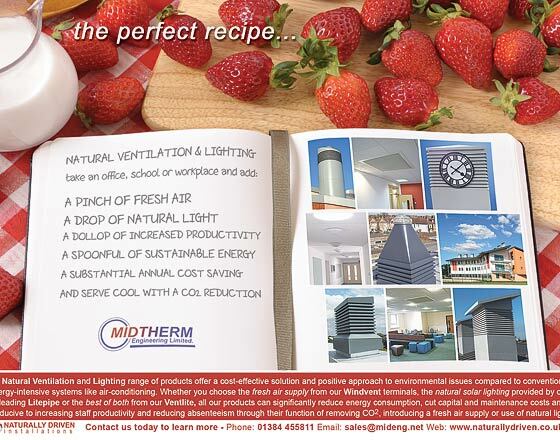 The Perfect Recipe // Part of a series of magazine advertisements for Naturally Driven / Midtherm Engineering promoting their natural ventilation & lighting range // Appeared in HVR, CIBSE and BSJ trade magazines during 2010. 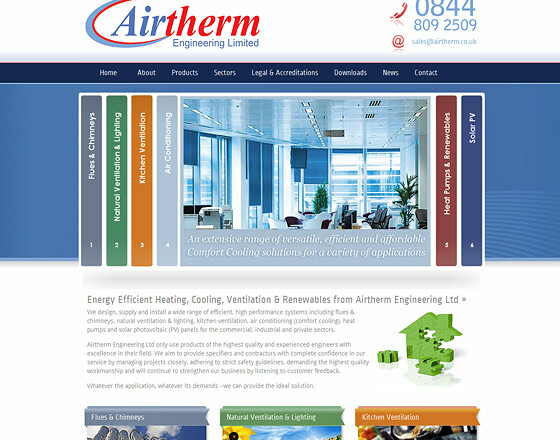 Airtherm Engineering Ltd website // 12+ page website including slideshow // The brief was to design a visually impressive online "corporate brochure" style website highlighting the various products and services of the business. 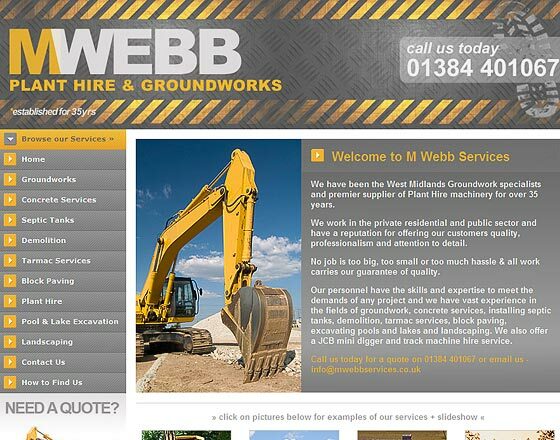 MWebb Plant Hire & Groundworks website // Standard 12-page promotional resource site // The most requested type of website, combining an online advertising presence & resource for customers to be directed to via word-of-mouth, business cards, tradtional advertising, etc. 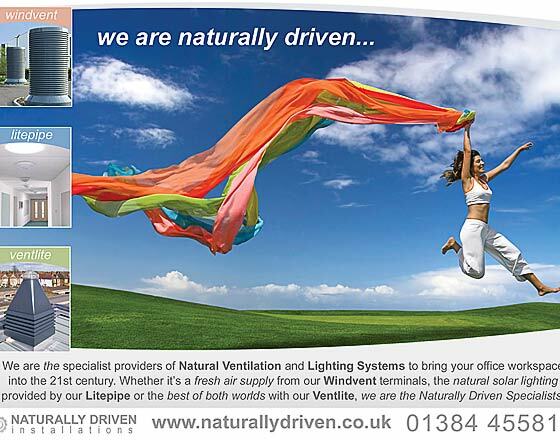 We Are Naturally Driven // Part of a series of magazine advertisements for Naturally Driven / Midtherm Engineering promoting their natural ventilation & lighting range // Appeared in HVR, CIBSE and BSJ trade magazines during 2009. Touring Arts Projects website // Medium-sized artists resource // Designed to promote the organization, upcoming exhibitions, highlight past & future projects, showcase individual artists and link to local artist's shops. Helen Claires // Offline shop // A web resource acts as a natural extension to modern businesses today. Customers can browse treatments & check for special offers before visiting while the owner can promote the business via an online resource. I am a West Midlands based designer specializing in website & print. I have many years experience working in various areas of design ranging from formal corporate projects to personal websites to illustrative design. My website clients range from corporate engineers to arts organizations and projects have included online & offline shops, promotional sites, private holiday homes and large industrial engineering sites. The scope of design has covered solutions for fashion t-shirt labels, building firms, beauty salons and fine artists. I have also undertaken custom redesign projects for other website developers. Print projects have included brochures, marketing packs, postcards and business card design. 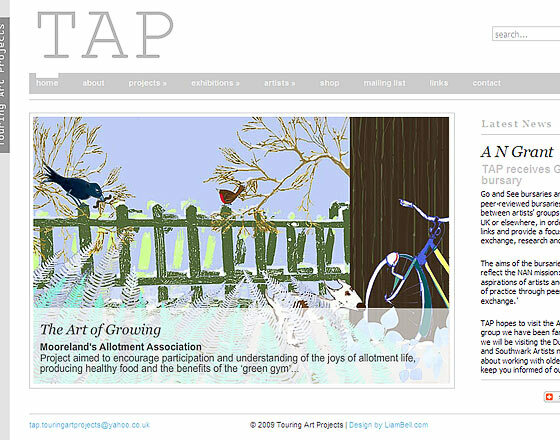 I am also experienced in and available for design and written work for online and print media.